DONNA — After several months on paid administrative leave, the termination of Donna school district Superintendent Fernando Castillo was discussed during a school board meeting Tuesday. The item was addressed during the executive session portion of the meeting and after a two-hour wait, the board came out of their chambers to simply state there would be no action taken on the matter of Castillos’ termination. “I think that it’s in the best interest of all parties at the moment,” said board President Efren Ceniceros, adding the item might come up for discussion again at the Feb. 20 meeting. Castillo was placed under paid administrative leave Dec. 15, after a district audit questioned his decisions as superintendent, citing several administrative appointments that lacked basic qualifications for the positions. The audit led to administrative rearrangements by the school district which included removing Jose Villanueva from his role as assistant superintendent of human resources and placing him as principal of the Donna 3D Academy, and terminating former director of testing/evaluation Maricela Valdez. 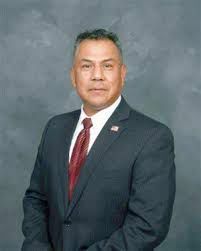 Castillo was first named deputy superintendent in June 2015, after the suspension of former Superintendent Jesus Reyna. The board approved Castillo’s five-year contract on August 2016, which included a $210,000 annual salary plus benefits. Filomena Leo continues to serve as interim superintendent.